With the release of her hugely successful debut EP Don’t Kill My Vibe, it’s safe to say that Norwegian singer/songwriter Sigrid has had an amazing 2017. Recently, Atwood Magazine had the chance to interview Sigrid in which we talked about her influences, her love of cats, and a potential album release in 2018. 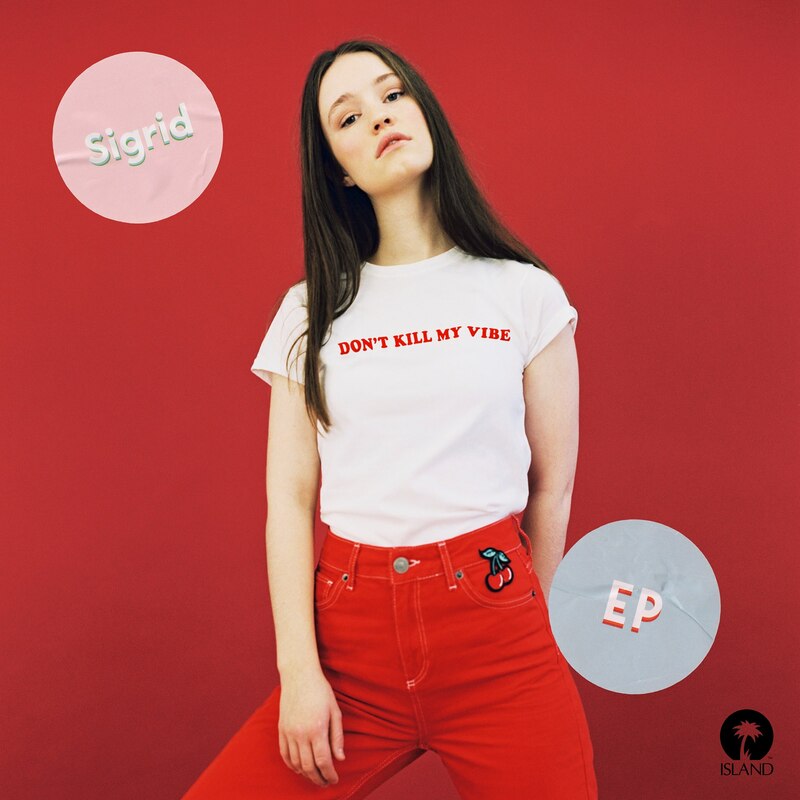 It’s safe to say that 2017 has been a breakout year for Sigrid: The Norwegian singer/songwriter’s debut EP Don’t Kill My Vibe (5/12/2017 via Island Records) made huge waves upon its release, buoyed by the success of the singles “Don’t Kill My Vibe” and “Plot Twist.” It’s clear to see how the tracks were so well received; all it takes is one listen for Sigrid’s anthemic choruses and catchy hooks to draw listeners in. It’s almost too easy to imagine yourself yelling along to the lyrics with fist-pumping abandon. Don’t Kill My Vibe caught the attention of Apple Music, and Sigrid was chosen as the second Apple Music ‘Up Next’ artist in May. The success of her EP also saw her perform at multiple international festivals, including Life Is Beautiful Festival, Roskilde, and Glastonbury. Sigrid capped off her stellar year with two more singles: “Strangers,” and a cover of Leonard Cohen’s “Everybody Knows” for the Justice League soundtrack. Recently, Atwood Magazine had the chance to interview Sigrid, in which we talked about her musical influences, her love of cats, and a potential album release in 2018. With her unbridled enthusiasm and infectious energy, Sigrid seems poised on the cusp of stardom. If you’ve been unfamiliar with her work, be sure to keep her on your radar for 2018. Atwood Magazine: Your lyrics are very personal, and they seem inspired by memories or events that have happened in your life. Is your songwriting process cathartic for you? 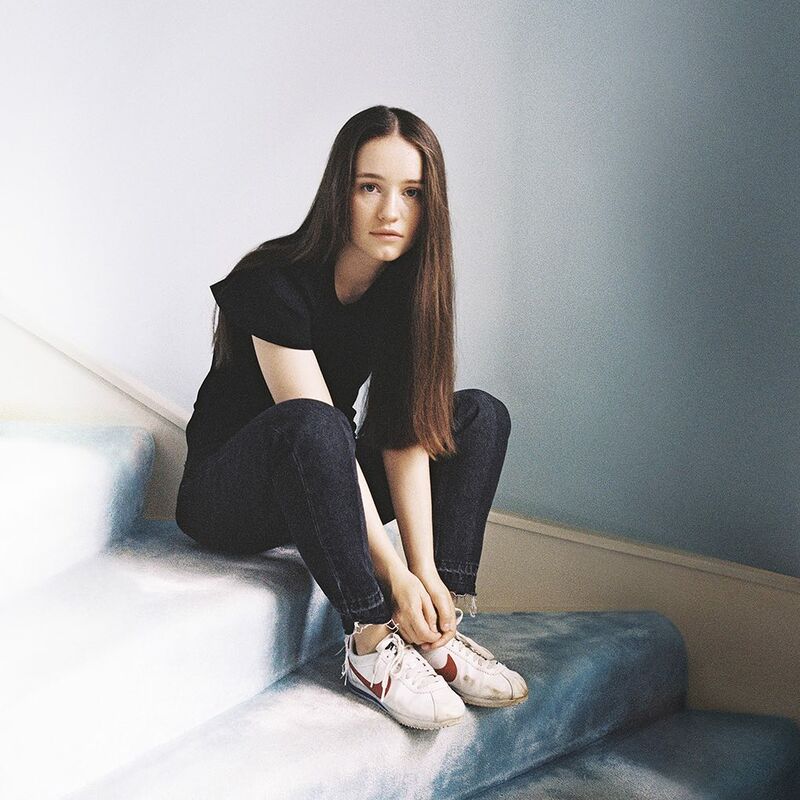 Sigrid: Haha, yes – it’s the songwriter cliché, but I guess it’s true. I need to write songs, and I love getting something productive and positive out of negative experiences. You have a knack for turning something negative that happened to you into anthemic, empowering songs (e.g. “Don’t Kill My Vibe” and “Plot Twist”). Do you purposefully set out to write uplifting songs, or songs that people can dance to? Sigrid: Thanks! But hm, not really. It’s just the songs that have been released so far. If you come to one of our shows, I promise you a lot of sad songs! What is your songwriting process? You’ve mentioned that you started playing the piano from a young age. Do you write on the piano? Sigrid: Yes, I do! I have this test in every writing session where I find an upright piano in the studio and check if the song works with only that and my voice. It’s a pretty good test. The four songs on your EP range from upbeat synth-pop tracks to ballads. How do you approach the production aspect of your songs? Sigrid: I am very much involved in the production of all my songs, and I have a clear vision of how I want my sound to be right now. As for my future sound- I don’t know yet. The last track on your EP is “Dynamite,” and it’s a beautiful, heartfelt ballad. You’ve talked about how the track is about life and missed opportunities, which explains the lyrics in the pre-chorus “You’ll get home, but I’m on my way out now/ Not the same destinations/ I will stay when you get off the train.” Although the track is pretty melancholy, the chorus contains so much strength: “You’re as safe as a mountain/ But know that I am dynamite.” Can you talk us through how you wrote those lyrics and what they mean to you? Sigrid: Well, it’s a sad one, haha. Askjell Solstrand (who I wrote it with) and I wanted to capture the feeling of not having enough time, and feeling kinda guilty for spending so much time on your own ambitions. Do you feel like growing up in Norway, or the music scene in Bergen has influenced you as a songwriter? Sigrid: Yes! 100%. The Norwegian music scene is great, and my music is very much inspired by that. Check out artists/ bands Gabrielle, Karpe Diem, Lars Vaular, Highasakite, Susanne Sundfør, Emilie Nicolas. You’ve talked about how your brother was the one who got you into writing music. In what other ways have your family inspired your music? Sigrid: They’ve been very supportive of me doing music, yet never forced me. And I’m so thankful for that. They’ve always let me play as loud as I want on the piano, but taught me the importance of balance in your life. Sometimes you just gotta go for a hike and chill for a second! You seem to have a range of musical influences: Joni Mitchell, Neil Young, and Adele just to name a few. Who are some of your favorite contemporary artists, or artists that you’re currently listening to? You’ve been touring Europe, and have performed at festivals such as Life Is Beautiful, Roskilde, and Glastonbury. What’s it been like performing to such huge crowds, and how have you fleshed out your setlist? Sigrid: Ah it’s been great!!! We’re so lucky to be touring. The band and I carved out the setlist – choosing songs that we thought fit together. We wanna give people a dynamic set, a rollercoaster. You’ve had an amazing 2017. Have there been any standout moments so far? Sigrid: Haha, so much has happened, it’s actually quite hard to choose. But ok. Maybe the release of “Don’t Kill My Vibe,” that started this whole thing. It seems like you really enjoy performing, and that infectious energy comes across in your videos. Do you prefer performing acoustic or with your whole band? Sigrid: Thank you! I definitely prefer performing with the band, they’re my best friends. I love playing piano in my living room, but it’s so much more fun to be on stage with them. You’ve talked about wanting to break the US market, and since you’ve been named an Apple Music “Up Next” artist, how has the reception to your music changed? Sigrid: It has helped a lot! I’m forever thankful for the Apple Music support, it’s a great team. And then my own US team! What a lovely bunch of people. And I’m very excited for 2018. Wink. You’ve released music videos for “Don’t Kill My Vibe” and “Plot Twist,” and it looks like you had a lot of fun shooting them. Do you have any creative input in your music videos? Sigrid: Yes! I’m heavily involved in all aspects of my career, that’s just the way I like to work. I’m very lucky to be working with so many talented people, and I truly believe in collaborating! You’ve mentioned your love of cats in several interviews, and in your “Plot Twist” video, there are shots of you petting a cat, and reading a “Pusheen the Cat” book. Was that your cat in the video? Do you have pets of your own? Haha, yup, I know. Cats are probably my favourite subject apart from my hometown Ålesund. No, the cat in the video was just a random cat that came to our set. I remember shouting to the director “HERE’S A CAT, LET’S FILM IT BEFORE HE RUNS AWAY.” Our family had a cat for 15 years, Sala Palmer, but she passed away a couple of years ago. Your EP has been so well received; do you feel more pressure live up to these expectations now that more people are listening to your music? Sigrid: Yeah, the release of the EP was great! It’s going well, but we’re still working to reach our goals. It’s just good to have ambitions and of course I want to deliver more, but I’m trying not to let that take over. What are your plans for next year? Are you working on an album, and if so, can you tell us anything about it? Sigrid: 😉 😉 😉 😉 Yes I am! There will be an album in 2018, but I won’t say more than that, haha.